Here is video demo on how to export members from other Telegram groups and invite to your own group. 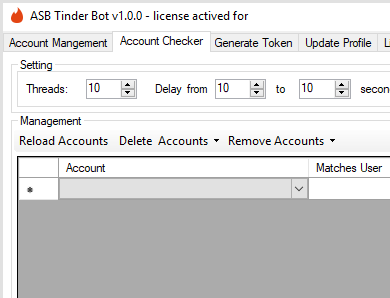 Here is video demo of our Telegram Member Adder bot. ASB Telegram Bot is the best telegram bot. You can export members from other telegram groups and invite that list to your own group. In this video. 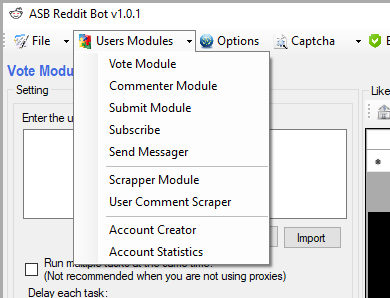 We will show you how to create bulk account with our ASB Reddit bot. 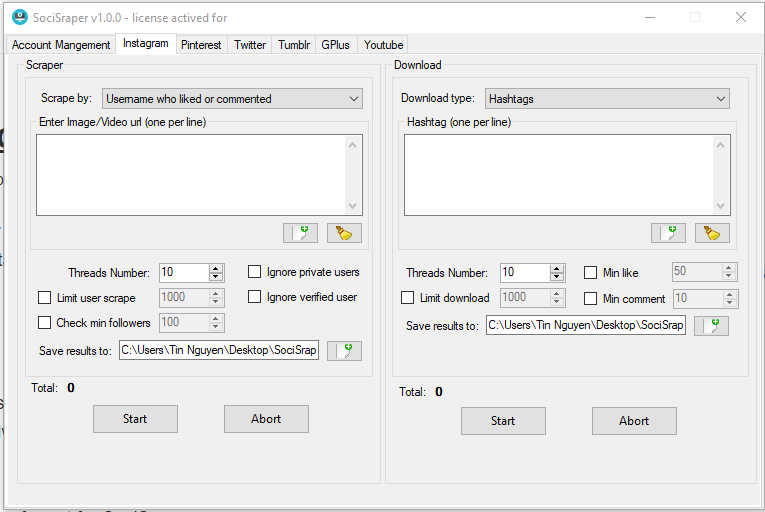 SociScraper is a free, powerful, tool to scrape data from social networks. This bot is total free! 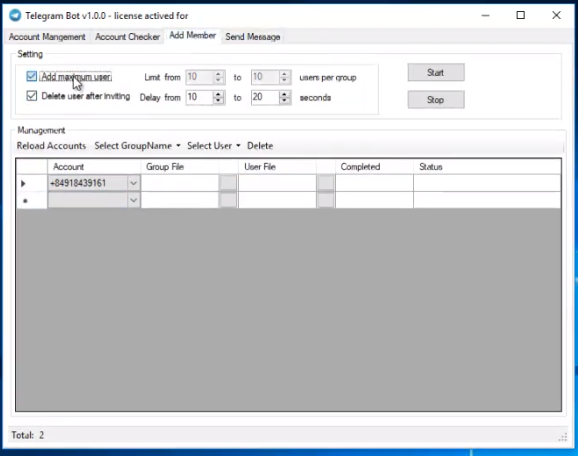 You will need private proxies to run with this bot. 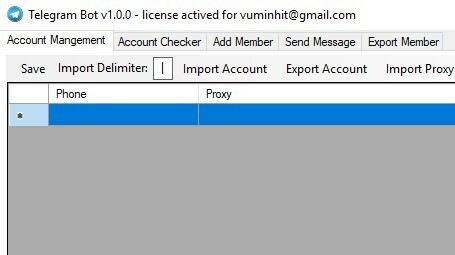 You can buy proxies from here. BuyProxies is tested and working perfect for Instagram and other social accounts. I always use this service for create instagram account and Twitter. BuyAccs is a very cheap and high quality PVA social media accounts service. Click to button below to download SociScraper. More features will coming soon. Please let me know which websites you want to scrape username or data. Or which features you will need. Just comment below. I will take a look and update to our bot. 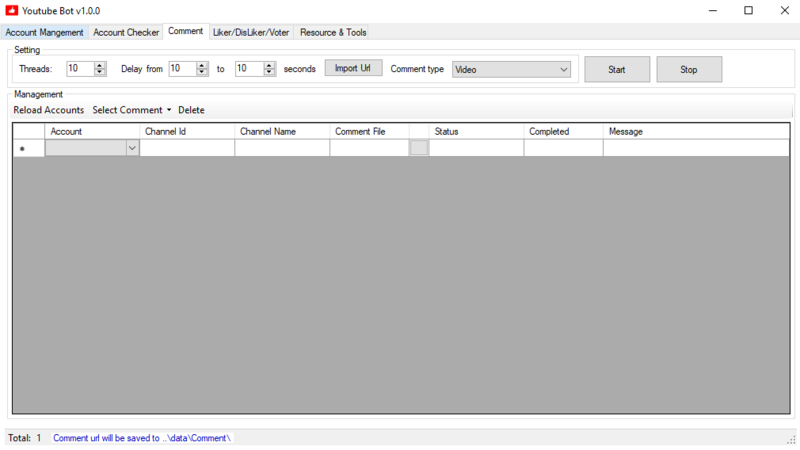 Youtube Comment Bot is an automation software tool used for bulk commenting on youtube videos, it allows users to automatically post mass comments and upvote/downvote (Like/Dislike) on YouTube videos that match set keywords for your niche, with your chosen marketing message for your brand or product using multiple accounts. BuyProxies is tested and working perfect for Youtube and other social accounts. I always use this service for Google accounts and doing bulk upvote/like. BuyAccs is a very cheap and high quality PVA accounts service. 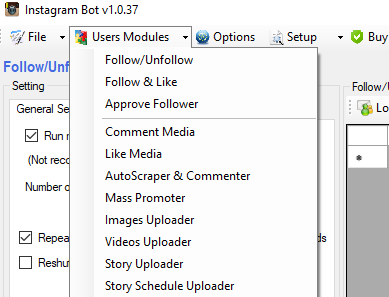 AutoSocialBots is not affiliated with or funded by Facebook, Instagram, Pinterest, Tumblr, Twitter or any other social network.